The Big Event Group is one of the most trusted and reputable event management companies in the Northwest of England. They are renowned for delivering bespoke creative events always according to their clients' requirements. The Big Event Group... design various events including private and corporate parties, weddings, award ceremonies, product launches, themed parties and more. The company works with a large number of prestigious venues. 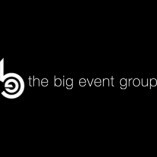 The Big Event Group have a team of experienced event organisers who can assist clients with their needs and requirements, taking care of everything from the planning stages to the moment the final guest departs. The company always aims to understand what the desired outcome of the event is and prepare a detailed plan and schedule while at the same time work closely with the client to ensure that every one of their goals is met.